Virtute lingered around me meowing in a very annoyed tone. It seemed so long since we last played catch with his favourite 1.5″ mylar crinkle ball. Instead he’s seen me come home ragged and tired from hours walking in circles on the picket lines, and then setting to work on writing my dissertation, editing journal articles I am sending to publication, preparing job applications, scholarship applications, and presentations for academic conferences. Beyond all these things, like many of the other folks I’m walking the picket lines with, I try to contribute to my family in meaningful ways – cooking, cleaning, caring, supporting – things that make home possible. But frankly, it’s difficult, and I have met many folks on the lines in far more precarious life situations than me. Virtute, however, has not appreciated the lack of ball play. He confronted me the other day, “There are 16 days left until the regular season and you’re going to be out of playing shape if you don’t play catch!” He was right, of course, but I could only muster some kind of muttering about needing to meet publication deadlines. He scoffed and paced around the house before coming back to me with some advice. “It’s easy to fall into the academic-industrial-complex trap. It’s really nothing more than a pyramid scheme, where those on the top benefit from your intellectual labour while the communities that you are most connected to rarely see the fruits of your work. That’s the most important work of all. Publications in obscure academic journals that have paywalls and restrict the freedom of academic sharing aren’t a priority. 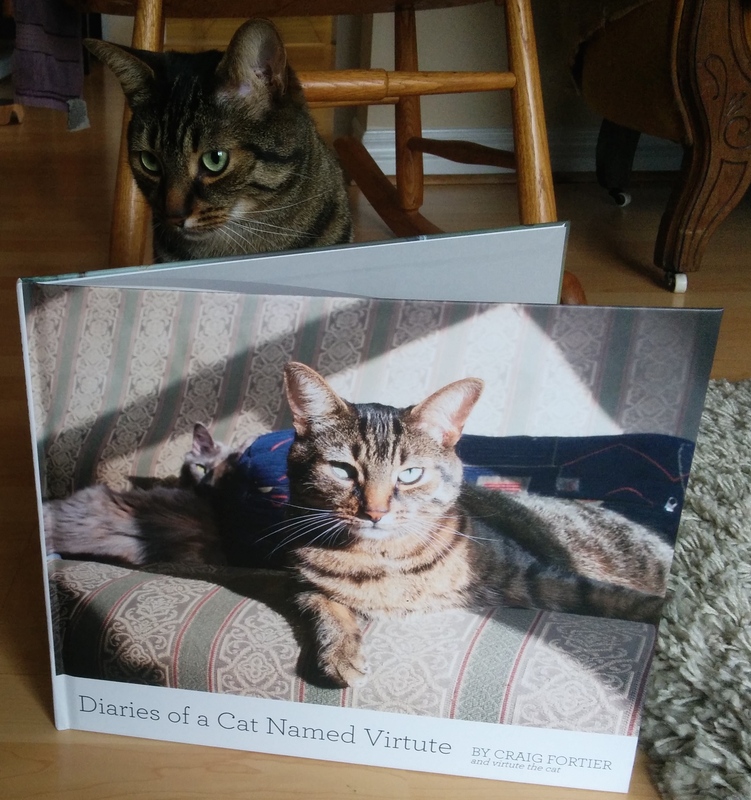 Remember, the book you’ve been most proud to have published only ran one copy: Diaries of Cat Named Virtute. We co-wrote that book for the people. Not for the academy.” I suspect he’s right in his analysis. The way that York has treated us during this strike really highlights the way they see academic workers as disposable and replaceable units. Just then, Gumption walked by and so I asked her what she thought. “I learn lots from Virtute,” she said. “No need for school”. And that was the first A+ answer I’ve heard in a very long time.